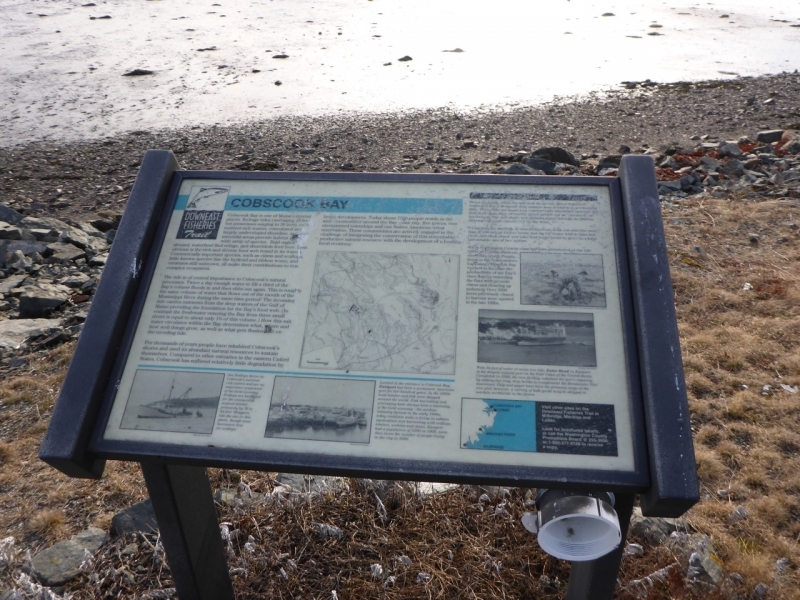 Cobscook Bay’s dramatic tides rise as high as 24 feet, enough water to fill a third of the bay. 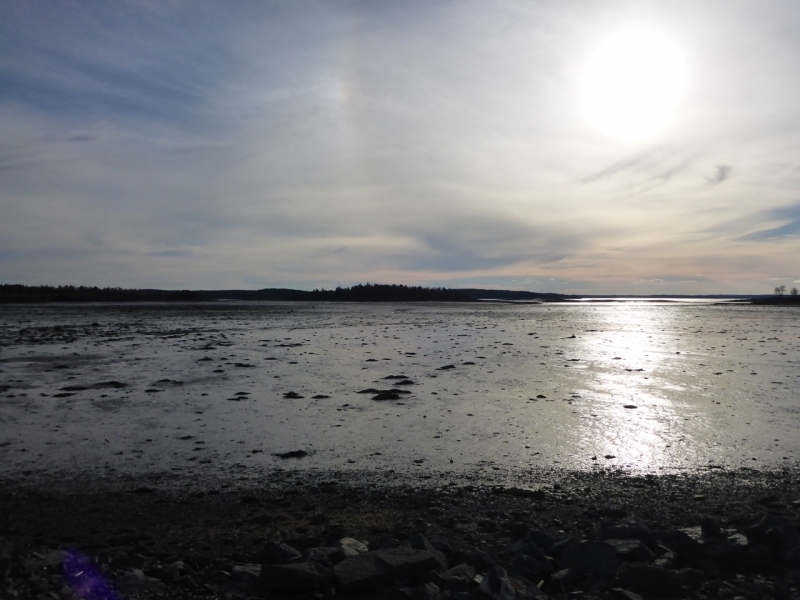 Low tide reveals extensive intertidal areas that are home to soft-shell clams, worms, and migrating shorebirds, and once provided a place to carry canoes between Cobscook and Passamaquoddy bays. 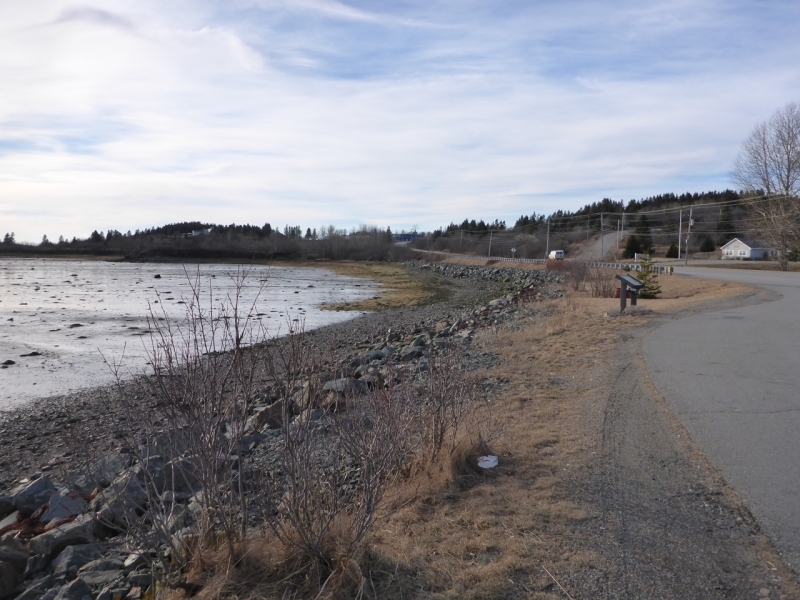 About 5,000 people live in the nine communities that surround the convoluted shoreline. 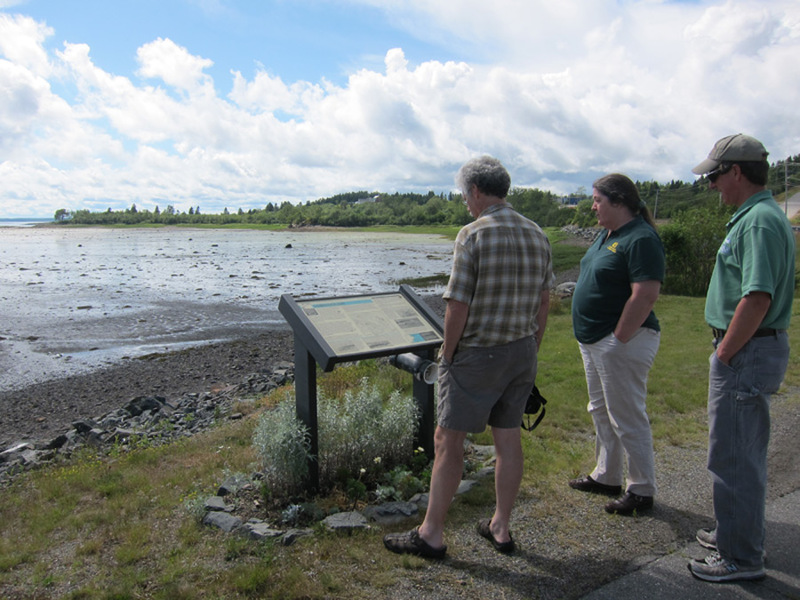 These communities are engaged in the challenge of integrating the conservation of a remarkably productive natural environment with the development of a healthy local economy. Year-round. Parking. Accessible. Interpretive sign. 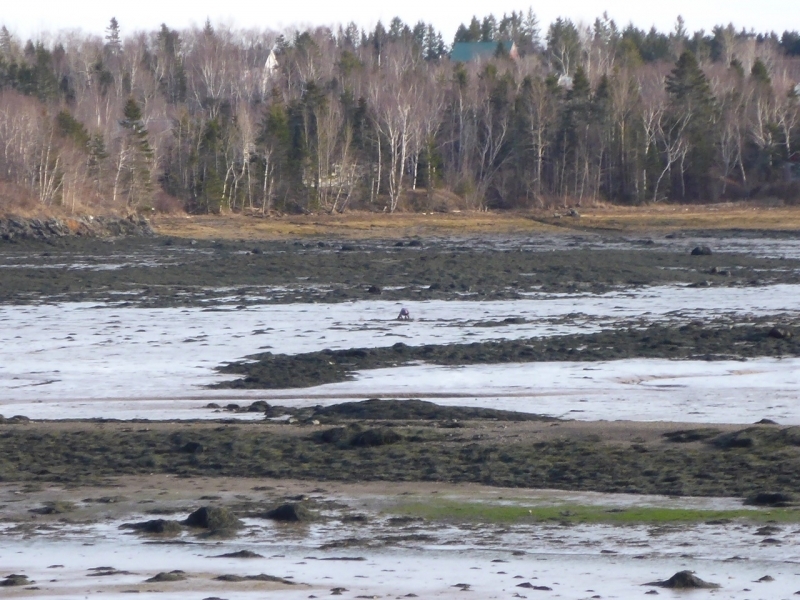 The large tides, combined with the structural geology of Cobscook Bay, results in a very large intertidal zone—as much as one-third of the bay is exposed at low tide! The outer bay empties and fills completely in a day or two, while flushing of the inner reaches may take a week or longer. Many species of the sub-Arctic reach the southern edge of their range here. 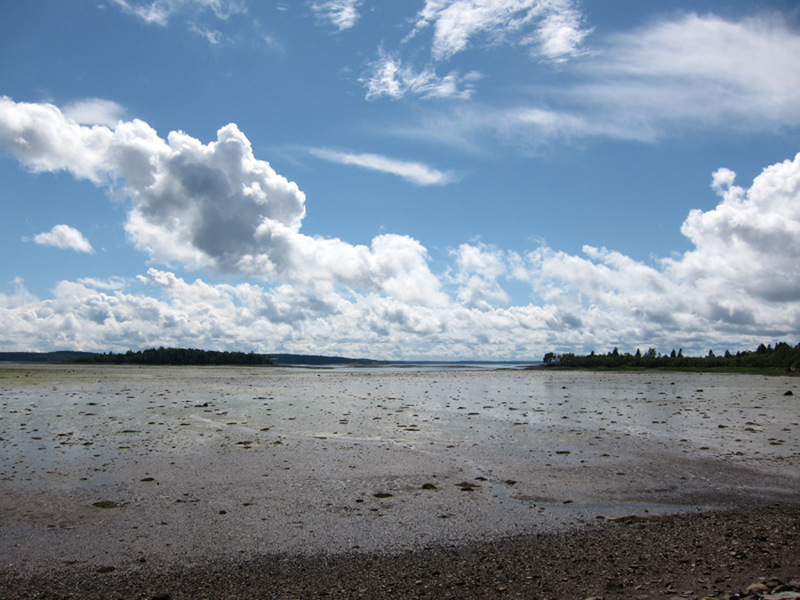 In addition to having a large number of different plant and animal species, eastern Maine and the Cobscook region are also notable because species that normally stay below low tide can be found living intertidally in Cobscook Bay. 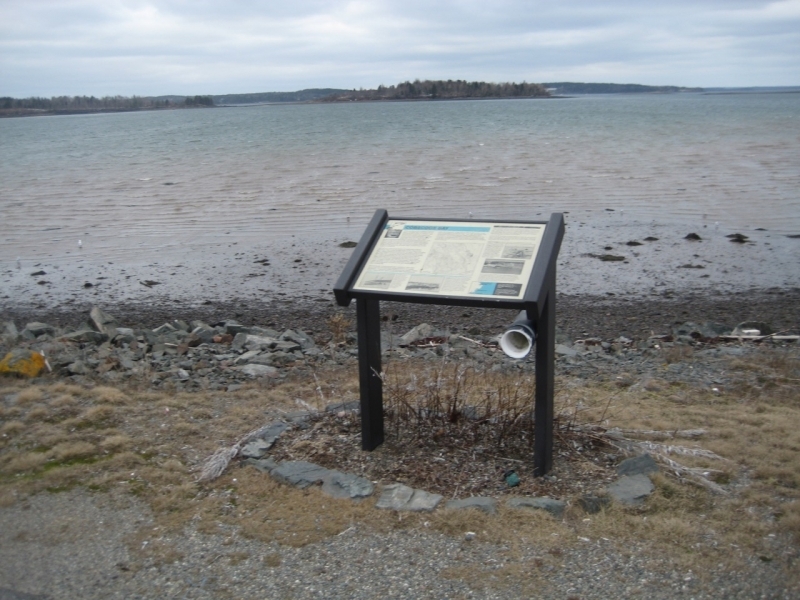 Another noteworthy feature observed at the mouth of the Bay of Fundy and in Cobscook Bay is the manifestation of giantism, often called gigantism, in several animals. Starfish, brittle stars, tunicates, and sea urchins grow unusually large. 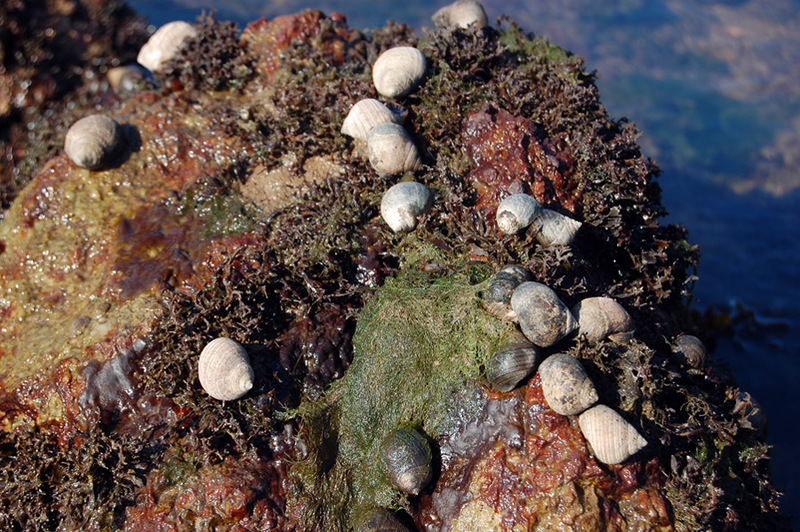 The common periwinkle, Littorina littorea, is harvested in Cobscook Bay because its unusually large size, 2–3 times normal, makes it more marketable. 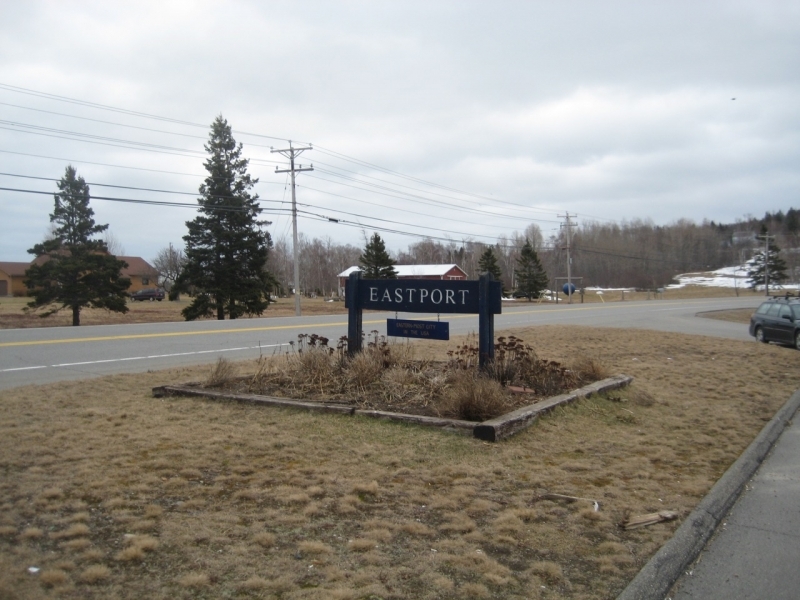 The causeways connecting Perry, Pleasant Point, and Eastport were constructed in the mid-20th century as part of the Quoddy Dam project, featured in a museum display in downtown Eastport. In 2004, a grant from the Andrew W. Mellon Foundation through The Nature Conservancy allowed an interdisciplinary, multi-institutional team of marine scientists to investigate the physical, chemical, geological, and biological dynamics of the Bay. 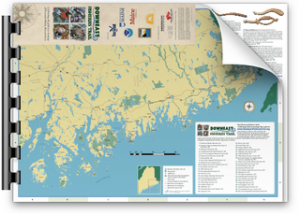 Read all about it in the December 2004 issue of Northeastern Naturalist.